Hello I’m Lynnie! 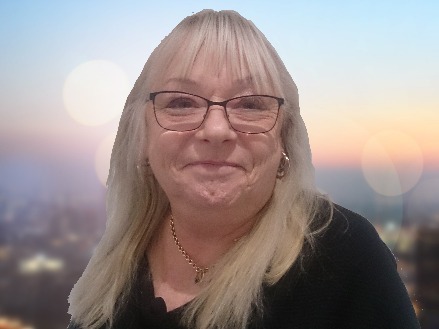 I am an empathetic natural born psychic reader with over 35 years’ experience in my trade. I work solely with my spirit guide to provide the insight and guidance required. When I start a reading, I feel the most important part to ensure that my caller is as comfortable as possible. I start tuning into your voice vibrations and this is a big factor in the reading. I like to connect to the caller’s higher energy as well as my guides. Combined I feel that this can give a more well-rounded insight into the situation at hand. Over all my years of reading I have covered a large range of topics. The subjects that I feel I work best with and get the most enjoyment out of would be love and relationships, home and family life and relocations. All topics can be the focus of our reading of course. I first noticed my psychic skills in a very odd way. I was at a Tupperware party and a psychic reader there singled me out in the room. She taught me how to understand my guides and introduced me to circles which allowed me to develop further. When I’m not giving readings, I am a very social creature. I love to see my friends and go swimming and watch movies. I have travelled a lot in my life to many places including Germany and Spain. Just had my first reading with Lynnie and what a lovely lady! She is so gentle and caring and gets right down to the problems you are seeking answers to, and provides them very clearly. Thank you so much Lynnie. Lynnie is great,thank you Lynnie. Love and light to you. Thank you for your great and encouraging readings dear Lynnie. You are like the cavalry quickly arriving to help me with the questions that need answers which you always give me. very disappointed in my reading with lynnie- only at christmas did she give me a wonderful reading about me and my boyfriend and all the wonderful things that were going to happen. When i rang in jan due to no contact from new years she kept saying- there is something a miss, this man has disappeared and repeating it over and over. It was the complete opposite to what i was told only a few weeks prior and kept me on the phone saying the same thing and that i need to move on. It is a shame as i spent money hearing someone tell me things that really did not help and she would have been better off saying she could not connect with the guy instead of keeping me on the line- i ended up hanging up feeling worse. Get 15 minutes to speak to Lynnie for just £4.99 (that’s a value of £22.50! )..